Trainspotting - and other depictions of addiction | Daily Review: Film, stage and music reviews, interviews and more. Playwright Harry Gibson’s original stage adaptation of Irvine Welsh’s novel Trainspotting was written before it became the famous 1996 film. Now a 21st anniversary production with its all Scottish cast — Rachael Anderson (June), Chris Dennis (Begbie), Calum Barbour (Mother Superior), Greg Esplin (Tommy), Michael Lockerbie (Sickboy), Erin Marshall (Alison) and Gavin Ross (Renton) — is touring Australia. Read our review here. 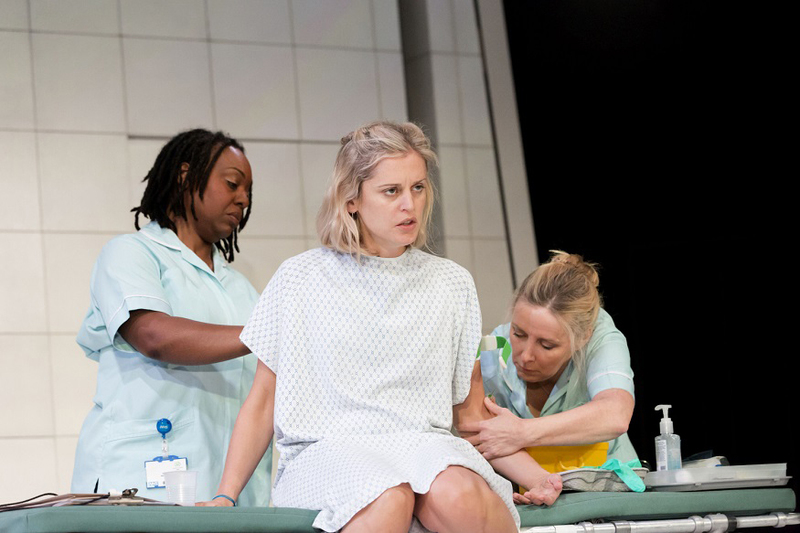 The plays’s director, Adam Spreadbury Maher (artistic director of the King’s Head Theatre in Islington and founding artistic director of OperaUpClose), looks at famous interpretations of addiction to explain its enduring fascination for artists. 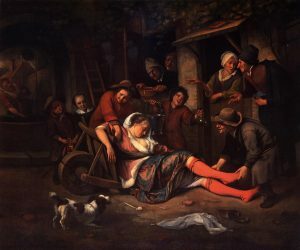 “Addiction is a potent and enduring aesthetic; people on the edge of human experience, be it physical deprivation or emotional torment, are the artist’s bread and butter. We are drawn to images of the extreme, that strip away the concerns of everyday life for a glimpse at the human condition. The beginning of the addict’s journey, the fun, the giddy exhilaration and the sense of indestructibility, are less often depicted and always less interesting. 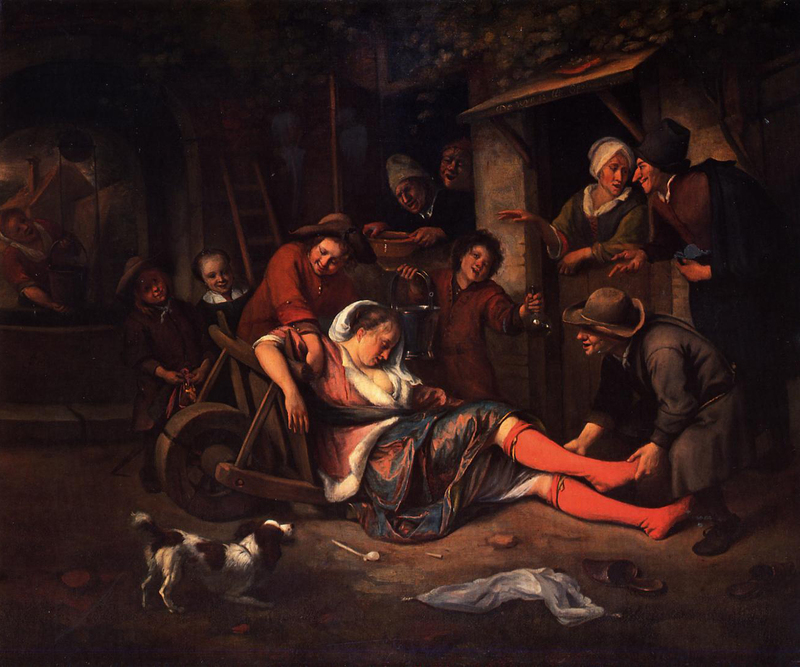 If we look to the history of art, the pieces that penetrate are of people at rock bottom. In Trainspotting, it is Mark Renton diving headfirst into a squalid toilet to retrieve an opium suppository that matters, the pills, parties and pumping tunes are just window dressing. 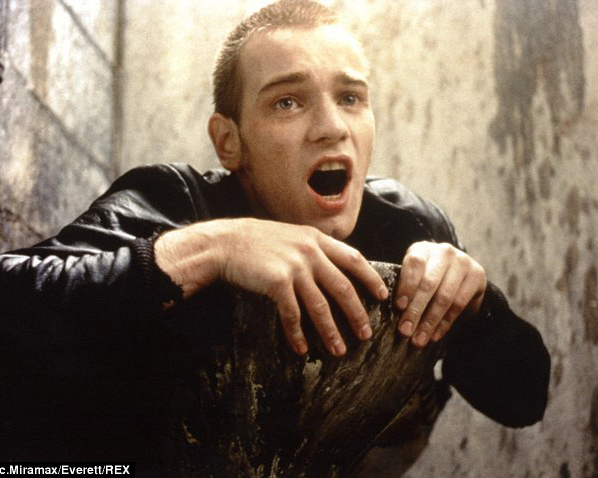 From the mind of Irvine Welsh, this image from the 1996 film version of Trainspotting is both lurid and literal. It evokes the ever more extreme lengths the addict is prepared to go to feed their addiction. Today’s line of coke is tomorrow’s swim through faeces. With unflinching honesty, Duncan MacMillian’s play captures the moment that an addict hits rock bottom and has to make a decision to surrender and to try something different. It’s the journey from self-pity to self-acceptance. The true warriors of addiction get clean but it’s those who don’t make it that become icons of hedonistic youth (i.e. the 27 club). Amy, a 2015 harrowing documentary portrayal of a young woman’s downward spiral, refutes this idea. On the first listen Cocaine seems almost like a celebration of cocaine but it’s more ambiguous and certainly more powerful than that. Clapton felt that anything too overtly ‘anti-addiction’ would alienate his listeners. 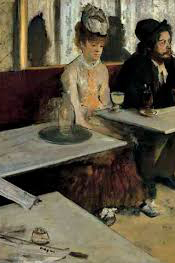 The two figures in this Edgar Degas painting from 1875-76, a painter and an actress, were considered to be shockingly degraded and uncouth by English critics. Many viewed it as a warning lesson against not just absinthe, but the French themselves. Trainspotting ,based on the novel by Irvine Welsh, adapted by Harry Gibson and directed by Adam Spreadbury-Maher is now playing at Fortyfivedownstairs, 45 Flinders Lane, Melbourne until April 13 and then travels to Brisbane. 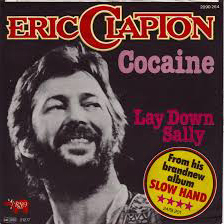 Perhaps the first time that anyone has suggested that Clapton’s version of ‘Cocaine’ is deep.